Event in Bern? Make your booking simple and straightforward! Workshops, seminars or meetings – Booking the ideal room should be easy and stressles. That is what we are here for. Personal, uncomplicated and flexible. 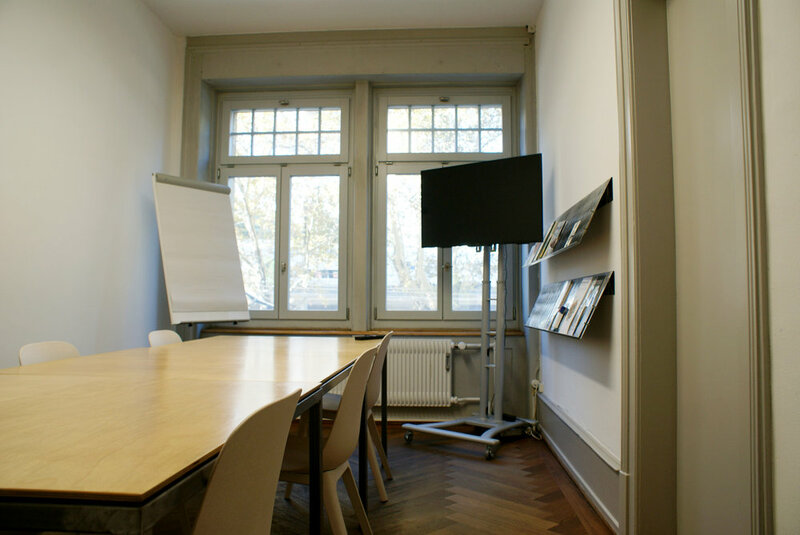 Welcome to the Ateliers Bollwerkstadt – only 5 minutes away from Bern station. Our catering partners provide a diverse range of local, seasonal and sustainable products. The Forum is the ideal event space for groups of up to 40 people. The room is also suitable for workshops, seminars and training sessions for a smaller number of participants. We provide a flip chart, pin board and facilitation toolkit and a projector and speakers can also be made available if required. The Board Room suits smaller events with a high standard perfectly. It is a medium-sized room with space for up to 12 people. As it is our only room with a separate access to the terrace. That is why the Board Room is our special offer. It also comes with a monitor and a facilitation toolkit. For any other configuration please contact us. Get on bus No. 20 at the station and get off at the first stop “ Bollwerk”. Walk back in the direction you came around 50 meters. Ateliers Bollwerkstadt can be found at No. 35. You can park in car park “Schützenmatt” or in the underground car park “Metro” at Waisenhausplatz 19, 3011 Bern.